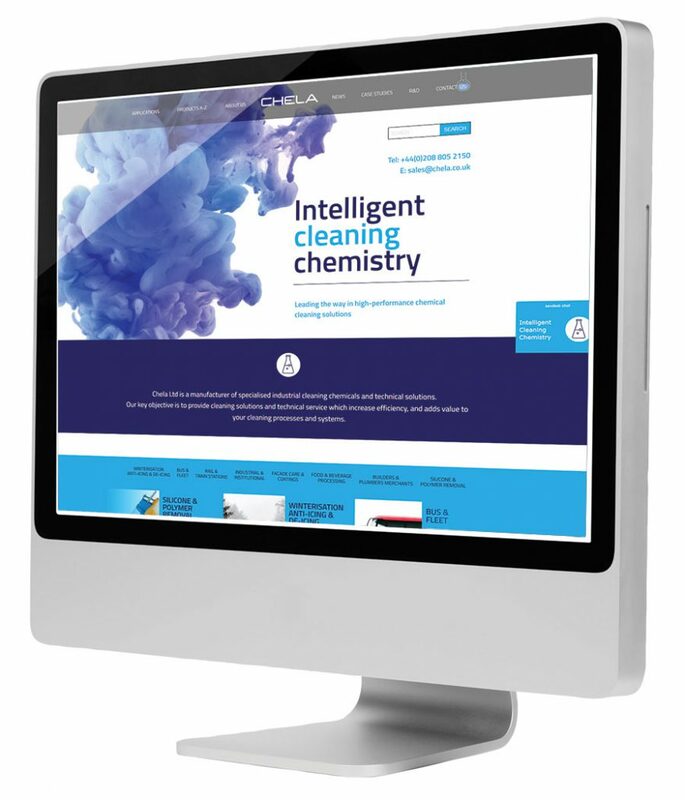 Chela came to us asking that we design them a new website for their long established chemical cleaning business. As well as creating a bold and clean new look, they were also very concerned about their SEO organic traffic. Looking at their old site, it was easy to locate some of the big problems. Built on Woocommerce, their old site had over 400 URLs, most of which had very little content and were weak. Although they had a lot of technical data for the products they offered, not a lot of the content married up with relevant and high ranking key word rich content. So before we started designing new website, our first task was to consolidate and reduce the number of URLS down to more content rich, relevant pages. 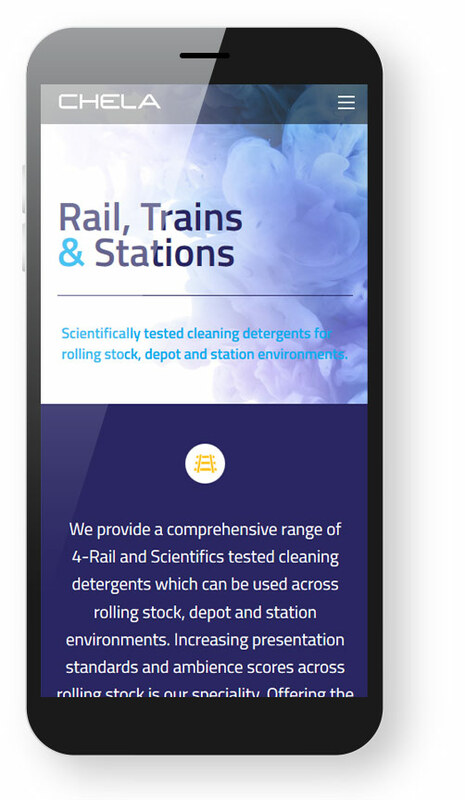 Secondly, we needed to develop additional content types for the site that were both relevant to the company and brand, but also in line with highly relevant key word searches for their sector. c. User is offered products solutions relevant to their sector. d CTA of contact form or prompt to start chat with the client. The other thing we did was to create content rich Case Studies for each sector. We then looked at typical key word searches relevant to common issues involved with cleaning, such as “How to remove chewing gum from seats”. We then reverse engineered these typical Google searches into relevant “Cleaning Tips” posts that ended with cleaning product suggestions from the company that make them. b. An A-Z page. An AJAX filtered page where uses can cross filter between combinations of custom taxonomies we gave to the 300+ products. These were organised into 2 main areas: Sector add application, for fast and efficient live filtering and product searches. c. Custom sector-based iconography to easily group products based on their prime sector.